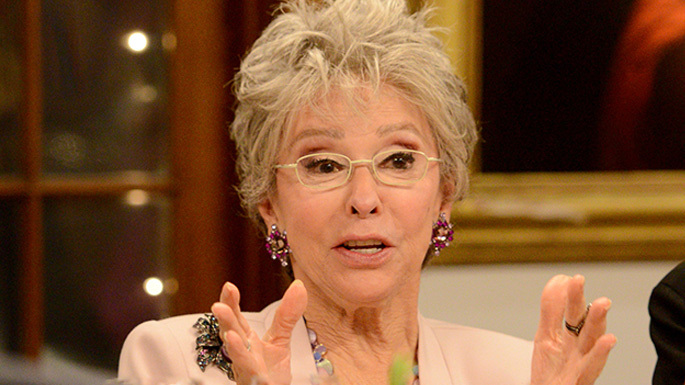 Many of you watched the Golden Globes on Sunday, and with all that Hollywood glamour, it made me think of my special time spent with Rita Moreno. She arrived to New York City from Puerto Rico as a young child, and she said it was really quite unfriendly at that time. The Hollywood of Rita’s youth was somewhat tainted by an image that producers, writers and directors had in their mind of what young Hispanic or black women were about…..”…..we were really stuck in that box…..” But in Rita’s late twenties, she played for the first time a non-cliche Hispanic for West Side Story as Anita. She won a an Oscar for that role!